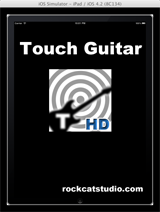 Touch Guitar turns your iPhone/iPod touch into a virtual guitar. Just jam along with a built-in drum machine. What are you waiting for? Just play it and become a Rock Star! -Realistic and high quality sound files. 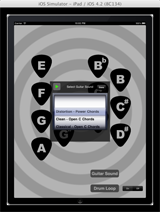 -Easy playing interface with note label. 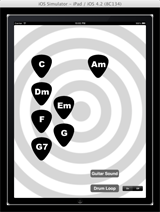 -Various guitar sounds e.g. Distortion (Rock/Metal) , clean and classical. 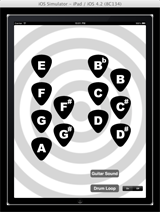 -Various drum patterns e.g. Rock, Metal, Ballad etc.